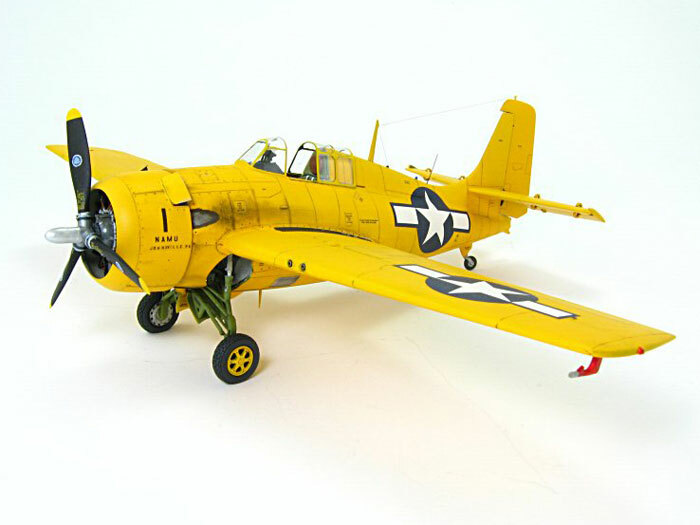 This is the 1/48 scale Hobby Boss FM-2 coupled with the resin Vector add-on aftermarket correction kit. This particular aircraft is from the Naval Air Modification Unit, Johnsville, Pennsylvania, USA and was used for mechanic training purposes in 1946. The Hobby Boss kit is quite nice but with the addition of the Vector correction parts, it gets better. The overall build presented no problems however, should you choose to add the Vector kit to your Wildcat, be careful when making the necessary cuts to add the new parts. The philosophy of "Measure twice, cut once" is sound advice. I used the Cutting Edge prop, and the spoked, block-tread wheels, came from Vector. Their dark gray resin is free of bubbles and pits and was a pleasure to work with - very smooth overall. Perhaps the only problem area was in properly installing all of the landing gear support struts as well as the interior parts for the wheel wells. Incorporating patience when constructing that area is important. I made the cowl flaps from plastic sheet. The model was painted with Floquil's Railbox Yellow, a dead-ringer for the orange yellow used on the prototype. Small black numbers and lettering for the cowling sides came from my spares box. 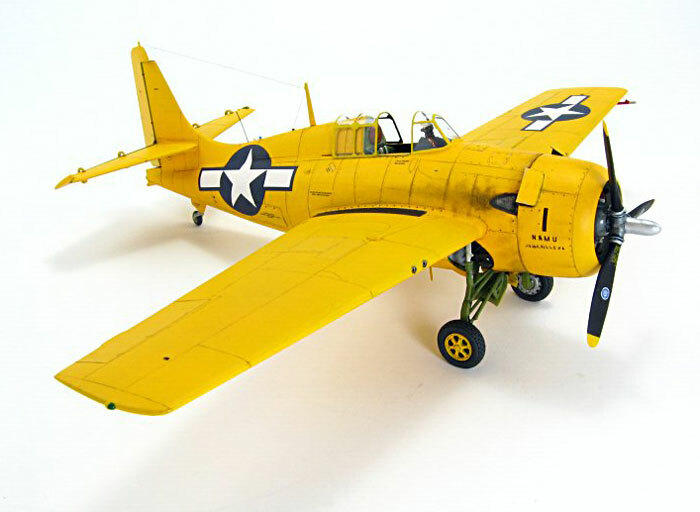 Certainly being a different-looking FM-2 Wildcat, this model stands out in a crowd, that's for sure! The full-build article will appear in a future issue of FineScale Modeler magazine.